Notre Dame Security Police’s Parking Services is offering a payment option that allows you to help the community, while also going easier on your wallet. The Food for Fines program accepts non-perishable food that has not yet reached its expiration date as payment for parking tickets. The program runs from Nov. 13 to Dec. 8. Each donated canned good or food item will be worth $2 in fine payments. Up to 30 food items can be donated per person, for a maximum fine value of $60. Food for Fines is open to faculty, staff and students as well as visitors to campus who may have received a citation. “The inspiration for the Food for Fines program came from our staff in Parking Services. They recognized an opportunity to help the Notre Dame community and our local community at the same time,” said Kyle Johnson, NDSP director of finance and administration. Donated food will go to People Gotta Eat, a partnership of food pantries in St. Joseph County that works though the United Way of St. Joseph County to share resources, raise funds and promote awareness. 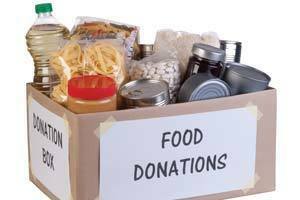 Area food pantry needs include soup, chili, stew, macaroni and cheese, Hamburger Helper, oatmeal, nutritional drinks, boxed potatoes, cereal, pasta, spaghetti sauce, bread, canned fruits and canned vegetables. Beginning Monday, Nov. 13, donations can be turned in at Parking Services, located at 119 Hammes Mowbray Hall, Monday through Friday from 8 a.m. to 4:45 p.m. Parking Services asks that faculty, staff and students bring their University ID card with them when dropping off food along with their paper citation or license plate number so that citation totals can be amended to reflect the food donation. While the Food for Fines program is primarily targeted to those who have received parking or traffic tickets, anyone who wishes to donate items during the collection period may do so. Originally published by Cidni Sanders at news.nd.edu on November 10, 2017.